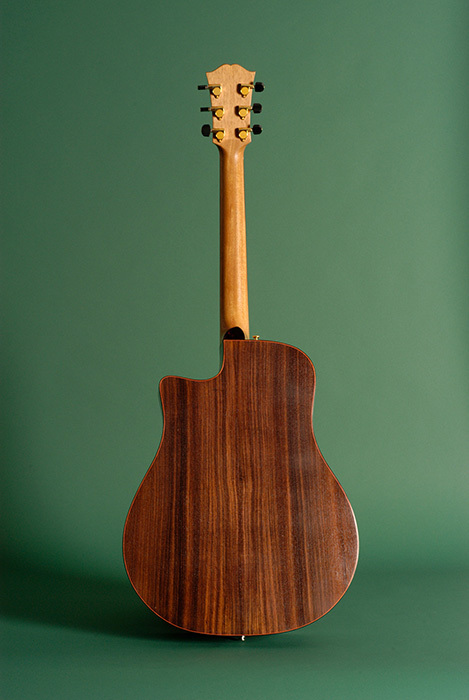 This baritone acoustic guitar has a medium scale, which allows composer and bandleader Leni Stern to tune it as high as the key of C. The side of the treble side cutaway flares into an angled heel, which feels like a more elegant solution to the neck to body joint design. 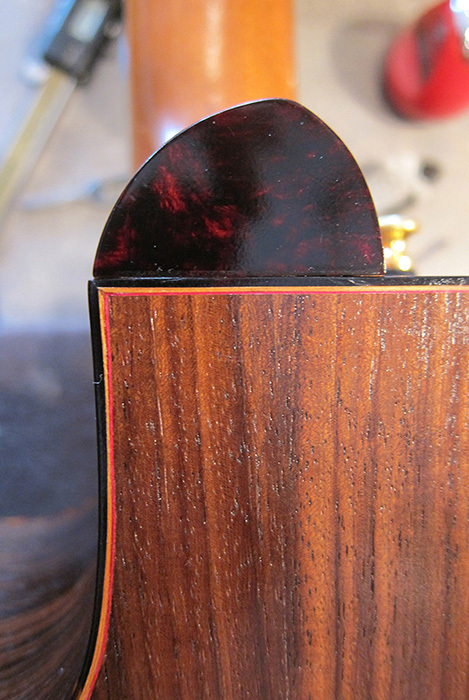 The top is Sitka Spruce, The back and sides are Indian Rosewood, and the bridge and fingerboard are Ebony. I've made a variety of baritone guitars, each with a different scale. 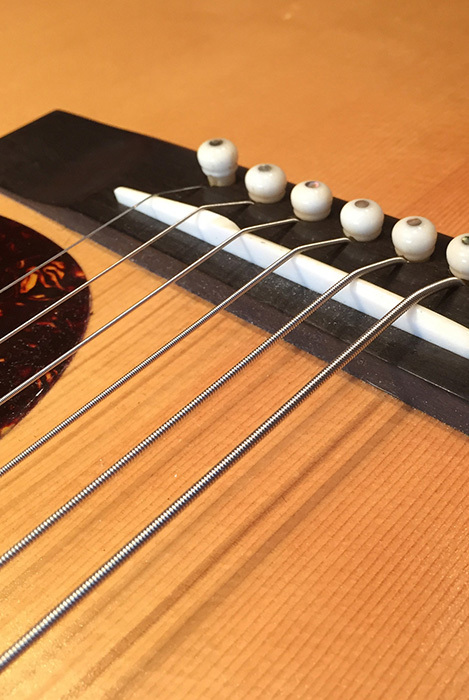 Even though the longest of baritone scales ( 30" ) gives the most resonant basses, it's often shortened a little bit to make the guitar easier to play and help the player's posture. 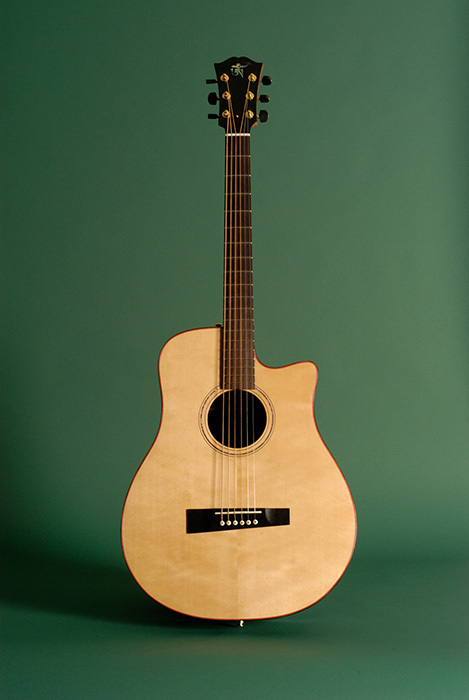 This particular guitar's X bracing pattern was laid out to emphasize the mid range necessary to even out the peaks of the low and upper registers of the baritone soundscape. The instrument is amplified with an under the saddle pickup system, often augmented with an outside microphone. All Rights Reserved © 2019 Flip Scipio. Sign up for Flip’s newsletter to get the latest news, announcements featuring new products, compelling stories and useful information. We’ll never share your information and you can always unsubscribe.